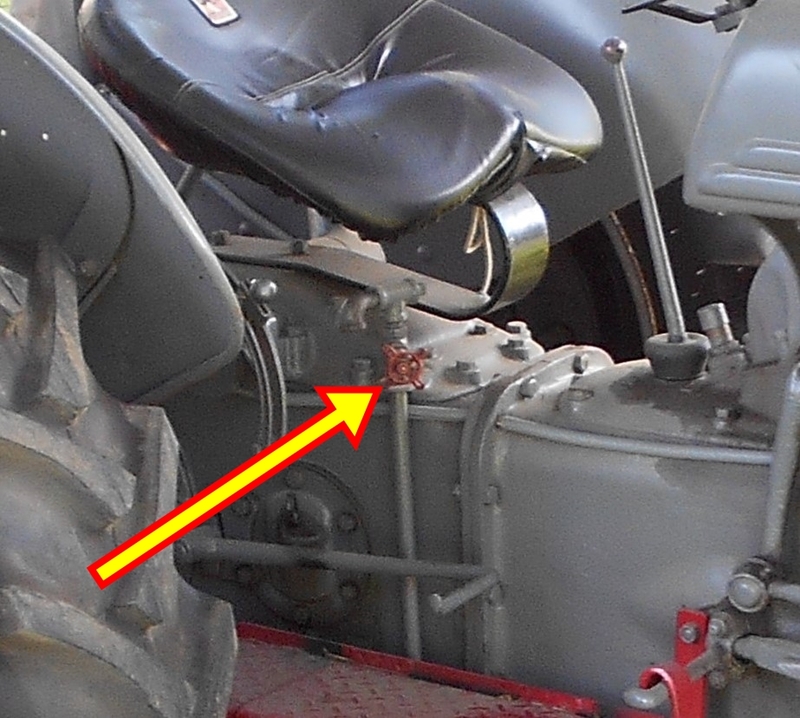 Has anyone ever put a hydrualic remote on their tractor? If so how did you do so? I have '54 NAA. Thanks. There are a couple different ways. IMO the easiest is the simplest. Cut the pressure tube in half just below the pump, put a couple tube fittings on the ends, and plumb an open center valve into the middle. I've seen a bunch of them done just like that but they probably shouldn't be using plumbing parts rated 300 PSI on hydraulics rated 2000 PSI. Fortunately, my lesson was only a boot full of very warm oil. By the time I got that hot boot peeled off my foot was red but not burned. Losing 3 gallons of nearly new combo fluid bothered me more than the oil-soaked sock and boot. Those pot metal plumbing fittings at the home stores are also being made a lot cheaper than they used to be. What worked 40 years ago probably won't today. This is the fitting that broke. 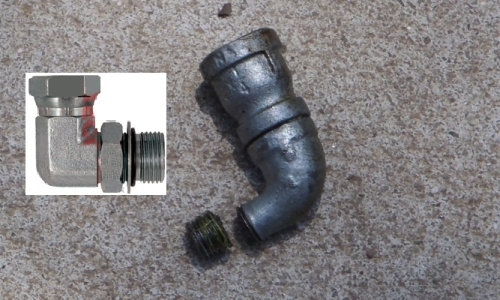 The inset is a steel hydraulic fitting that should have been used.